Ron DeSantis, the Republican running for governor in Florida, defended the idea that Donald Trump is a positive role model for children, saying in an interview with CBSN's Elaine Quijano that the president should be admired for keeping his word. "We all have our faults and what-not," DeSantis told Quijano. But "even his worst critics would say he is someone who is determined to keep his word." He stressed he sees this as an important lesson for his own young children. "If you promise you are going to do something, keep your word," he said. On Sunday, during a debate with opponent Democrat Andrew Gillum, DeSantis had answered a question about whether Mr. Trump is a good role model by talking about Israel and making the point that Mr. Trump had kept his promise to move the U.S. embassy in Israel from Tel Aviv to Jerusalem. "Donald Trump promised it, and he followed through with it," De Santis said during the debate. "And so to me, when you give your word, and you follow through with it as an elected official, that is the model that we're supposed to do." The question was based in part on a DeSantis primary ad featuring him exclaiming, "Build the wall" to one of his children, who is playing with brick-like blocks. In subsequent scene in the ad, DeSantis is reading Trump's "The Art of the Deal" to another child. Pressed Monday morning by Quijano on whether Mr. Trump is a role model for his children, DeSantis said the media is "obsessed" with highlighting his embrace of the president for his kids. He also said the president would "probably" campaign for him again before the Nov. 6 election, though he did not say whether he has asked the president to return to Florida. "We would like him to come," he said. The president held a rally for DeSantis over the summer in his Republican primary fight with Adam Putnam, and endorsed him in Tweet even before he formally announced his bid. On another central Republican position, DeSantis distanced himself a little from the president. Quijano asked about his position on climate change, and he responded "we clearly have an effect on the environment." But he added he did not want to "take steps that are going to wreck our economy." DeSantis also told Quijano he supports healthcare protections for pre-existing conditions. "If there happens to be a change in federal law and if there are people who fall through the cracks, I would sign a bill to take care of them," he said. However, DeSantis has not unveiled a health care plan, and his issues page does not include health care. Gillum advocates expanding Medicaid, though it's unlikely the Florida Legislature would support that. On the issue of gun control, DeSantis told Quijano he favors restricting access to those who have shown the most "troublesome" behaviors, but in general, he supports focusing on mental health issues as a way of fighting gun violence. Polls have shown Gillum ahead, though polls from recent weeks show him ahead by just a point or two, which is within the margin of error. The DeSantis campaign said Sunday its internal polling has him up by two points. 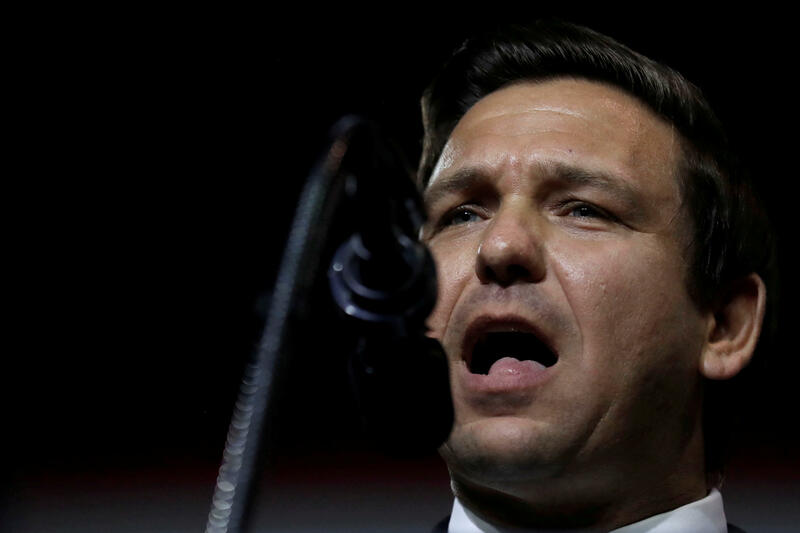 DeSantis, 40, resigned his seat in Congress last month to focus on his race for governor. He has represented Florida's 6th Congressional District since 2013.